Cloudflare CDN is fully integrated with the FastComet cPanel which is provided with every FastComet hosting plan you purchase. 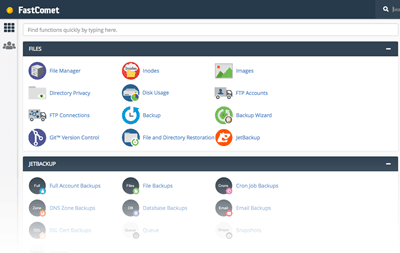 Cloudflare CDN activation feature is presented in your FastComet hosting cPanel as a separate icon service. The use of Cloudflare CDN is available for all the FastComet customers. This guide on Cloudflare CDN Activation via FastComet cPanel provides you detailed info about how to use the free CDN service and its benefits. FastComet Cloudflare CDN settings are explained below in this simple step-by-step activation tutorial, where you will learn how to easily use this FastComet CDN feature. Firstly, you need to login to your FastComet hosting account’s cPanel service (Control Panel) in order to access their Cloudflare cPanel Feature. Login To Your FastComet Account Now! Once you have logged into the FastComet cPanel account , you can then search for the Cloudflare CDN icon which you can easily find under their cPanel’s Software section. Click this Cloudflare CDN icon which will redirect you to the main page of this feature, providing you the option to Sign Up For The Cloudflare CDN Service . 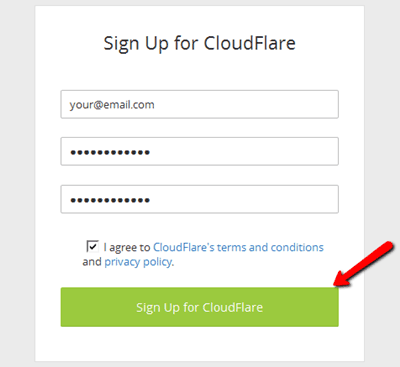 You can then click on the » Sign Up « link just below the » Log in « button to get started with the Cloudflare registration process. You can also click on the terms of service link of Cloudflare and read them (if you want to) before clicking on the » Sign Up For Cloudflare « button. 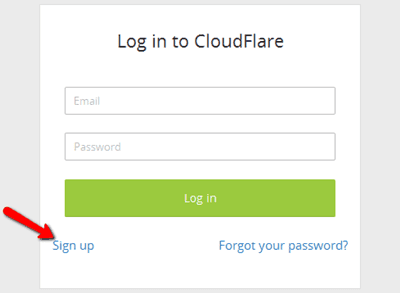 Once done, you can then press the » Sign Up For Cloudflare « button which is located right at the bottom of this form. 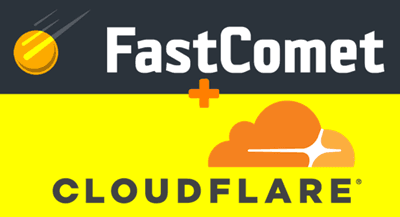 After signing up with Cloudflare CDN service, the FastComet’s cPanel feature for Cloudflare will get connected to the Cloudflare client service. This will create an account for you which will enable you to manage your domains from Cloudflare’s control panel as well (and not only from the FastComet cPanel account). Now that you are done signing up for Cloudflare CDN service, you are now able to see your domain name which you are currently using in your FastComet hosting account being listed in the form (under Domain Overview section) at the bottom of the interface. In order to activate the Cloudflare CDN service for your domain name, you will have to simply click on the green colored » Provision Domain with CNAME Setup « button. When you see the orange colored cloud icons, it indicates that the www subdomain of your domain which is hosted on FastComet server is now on the Cloudflare CDN service. This means to say that not only the www subdomain but instead your entire domain (hosted on FastComet ) is on a CDN service. However, your www subdomain present on FastComet cPanel is currently configured with the Cloudflare CDN service. 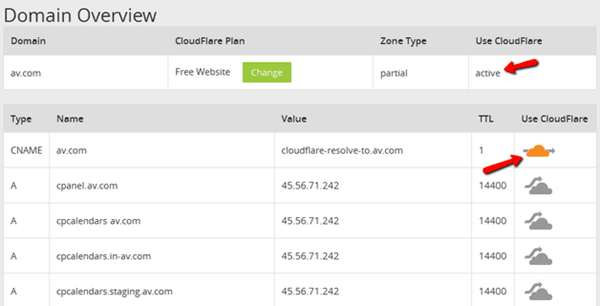 If needed, you can also activate Cloudflare CDN on FastComet cPanel for rest of the parts of your domain as well. Again, this can be done by simply clicking the gray colored clouds corresponding to the subdomain to convert them into orange colored cloud upon successful CDN activation. These are all the steps you need to follow in order to successfully activate the Cloudflare CDN service in your FastComet hosting account via their Cloudflare CDN cPanel feature (provided to all the FastComet customers)! Apart from the Fastcomet Cloudflare CDN activation, there are also other Advanced FastComet Cloudflare CDN tutorials that are easy to implement. How to access the control panel of Cloudflare CDN service (in partnership with FastComet) after signing up? How to Manage your Websites/Domains added to your Cloudflare CDN Client Area? How to activate the Cloudflare CDN Development Mode to disable the caching of all static contents? How to configure the FastComet Cloudflare CDN Security Settings with key features? How to Configure the FastComet Cloudflare Performance Settings and basic understanding option? How to activate the free Cloudflare SSL for FastComet hosted websites? I hope you found this post on Free FastComet Cloudflare CDN Activation useful. If you have any doubts, you can contact the FastComet Support Team (will be happy to help you) or you can instead visit the FastComet Tutorial Series on the Cloudflare CDN installation .